The night before every race is always filled with excitement and nervousness. This year, I've come to accept that I won't be getting much sleep. In fact, most of the time, I don't get any sleep the night before a race. 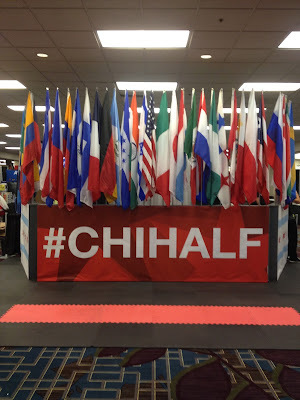 I'm running the Chicago Half Marathon in the morning. I'm incredibly tired, but I'm also incredibly antsy. I can't seem to sit still for very long, and I keep double checking that I have everything I need for the morning. It doesn't help that I have to leave the house by 3:30am in order to get to the race, and I'm terrified of over sleeping and missing the last shuttle to the race site. I've set three different alarm clocks to make sure that I get out the door on time. I've been making sure that I have everything that I need. I made sure to pick up my race packet as soon as I could to have one less thing to worry about this weekend. And when I say "as soon as I could," I mean it. Literally. I arrived about 10 minutes before the race expo opened on Friday. I wasn't alone, either. A lot of people were there early. Once the doors opened, everyone rushed in to get their bib numbers and shirts and peruse the various vendors at the expo. Things were labeled well, so it was easy to find everything. First, bib number. You needed to know your number to pick it up, but the race had emailed everyone earlier in the week with their numbers and corral assignments. If you didn't remember your number, then they had a station where you could look it up. Next, the rest of the packet - gear check bag, safety pins, shirt and, for some of us, vest. The first however many runners who registered for the race got a running vest in addition to the race shirt. I had limited time to spend at the expo, as my family was getting into town that afternoon, so I made basically one big circle to see what there was to see. I didn't end up with quite as much swag as I did with some other races/expos, but I got everything I needed and made it home just before my family arrived, so I'd call it a success. My stuff from the expo - shirt, vest, bib number, purchased shirt, and various vendor goodies. I've spent today with my mother, shopping and eating and showing her around my neighborhood. She left for the hotel fairly early this evening to give me time to get everything ready for the morning. My clothes are laid out. My gear check bag is packed. I hit the grocery store earlier today to make sure that I have my pre race breakfast of choice. All that's left is the race! I'm trying not to let me nerves get the best of me tonight. To be honest, I don't really feel ready for this race, having had trouble pushing myself since my last race at the beginning of this month. I've been running, of course, but my runs since the half at the beginning of September have topped out around 9 miles, so I'm feeling a bit unprepared to run another 13.1 miles. That being said, if I did it once, then I can do it again. 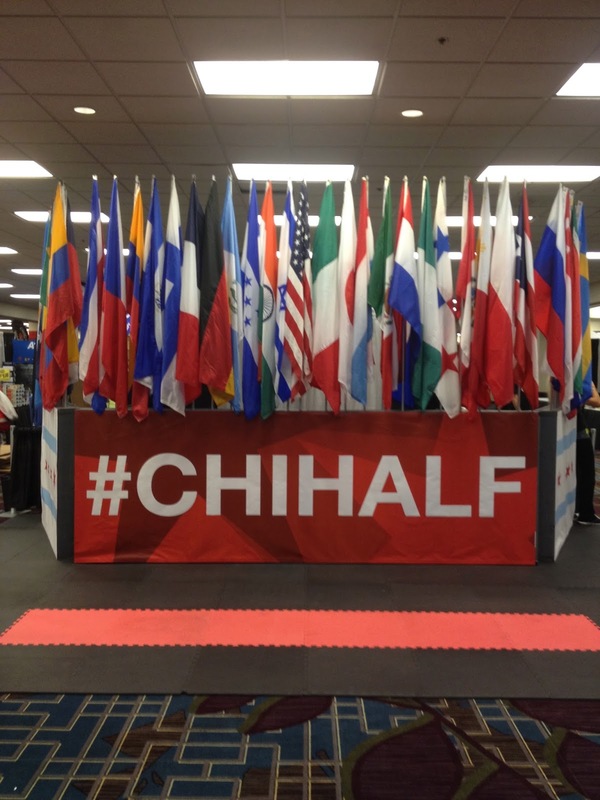 The weather is looking like it will be much better tomorrow than it was for the Magnificent Mile Chicago Women's Half Marathon. It should be cooler, with the high forecasted for the mid to high 70s. I plan to run with one of the pace groups that will be provided in hopes of reaching my goal time of 2:30, but I won't be too disappointed if I can't maintain the pace and have to slow down.